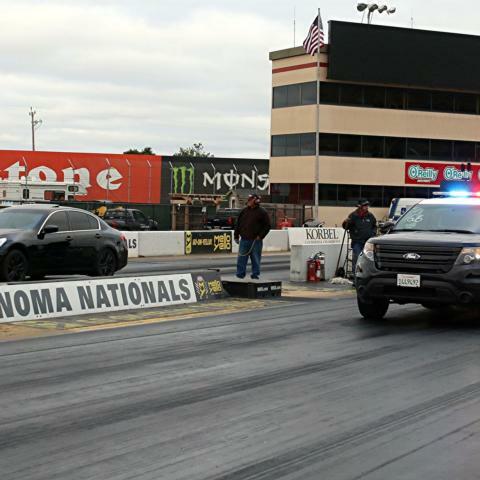 High school students and Bay Area law enforcement officers will compete head-to-head on Sonoma Raceway's quarter-mile drag strip, as the Top the Cops™ program returns for its 25th season next Wednesday, April 17. Top the Cops runs as part of the raceway's popular weekly program, Wednesday Night Drags & Sonoma Drift, powered by Universal Technical Institute (UTI). Top the Cops offers an alternative to illegal street racing and gives teens the chance to race against local law enforcement officers, who compete in full uniform in their official vehicles. The program also provides a unique environment for the officers to talk with teens about safe driving and the rules of the road. "The Top the Cops program has continued to be an incredible and unique platform for young drivers and local officers to connect with one another," said retired Santa Rosa police officer and program founder Kevin McKinnie. 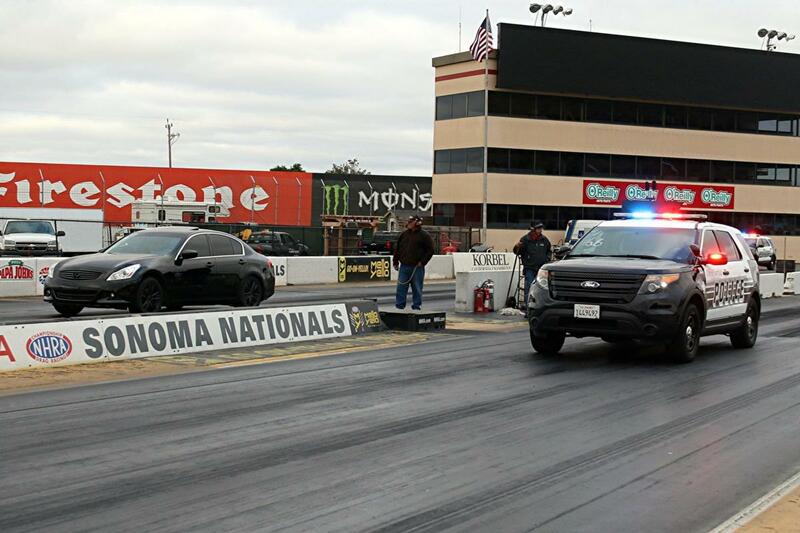 Top the Cops will run in conjunction with the Wednesday Night Drags program at Sonoma Raceway, April 17-Aug. 28. Participants must have a current high school identification card and driver's license, and a car that passes a simple technical inspection. Students are given practice runs, which then lead to head-to-head competition against an officer in his/her patrol car. Gates open at 3:30 p.m. each day, with racing from 5-10 p.m. Time trials for Top the Cops begin at 4 p.m. with eliminations at 7 p.m. Cost is $15 for students (with high school ID card), $10 for spectators and FREE for kids 12 and under. For more information about the Top the Cops or Wednesday Night Drags program, call 800-870-RACE (7223) or visit www.SonomaRaceway.com/WND. For track weather conditions, please call 800-870-RACE ext. 209.